New York City's Central Synagogue is actively engaged in an effort to provide compelling learning experiences that deepen our congregants' understanding of and commitment to Reform Judaism, and to guide them toward lifelong involvement in the Jewish community. It was from this determination that the full-time teacher initiative was established for the 2004-2005 school year. This cutting edge program sought to tackle the constraints of limited pre-class preparation time and conflicts with full-time employment by allowing qualified, dynamic young educators to devote their complete attention to the education of Central Synagogue's youth. With the vision of Rabbi Rubinstein, the financial backing of generous donors, and the support of the Central Synagogue clergy and lay leadership, this educational initiative began in September 2004 with four full-time faculty members [actually, there were five - ed.]. Since its inception, the Synagogue community has not only witnessed a renewed energy among its children, but also an increase in enrollment and a heightened reputation among parents as being a program of true quality and engagement in a field too often lacking both. As we embark on the 2007 school year, nine full-time teachers are in our employment. Each of them serves as the lead for a particular grade, third through ninth, or for youth group, and all work under my supervision, as the Director of Lifelong Learning. Textbooks are used only for Hebrew support, and each lesson is created by the lead teacher for that grade with input from myself and the rest of the full-time teaching staff. In addition to their roles in the classroom and at school tefillah, these teachers assist at all of Central Synagogue's family events, from creating and leading high holiday services and assisting at Shabbat and holiday programming to functioning as Mitzvah Day staff, working with adult education, and creating 123 Central, a brand new magazine publication for all of our Religious School families. The Full-Time Teacher Mission Statement, created this summer, is as follows. Full-time teachers are an integral part of the Central Synagogue community. They advance learning through a vibrant and organic curriculum; build relationships with students and families; model Jewish commitment and positive identity; invite exploration of Jewish culture in a relevant and accessible way; and lead the community with a clear vision. We are most fortunate to have found success with this initiative, and in March 2008, we plan to host a kallah where we can share our work with others who are interested in exploring this model for their own congregations. For more information, please feel free to contact me at ymw@censyn.org. "British singer Lauren Rose has released a modern version of traditional Jewish song Hava Nagila, and gambling pundits have even given odds on the song to take the top spot in the U.K. Christmas pop charts. "According the British newspaper The Sun, bookmaker William Hill has given 17-year-old Lauren Rose a 16-1 shot at having Britain’s best-selling song on December 25." I couldn't find the original article on the website for The Sun, and am not convinced that Ha'aretz didn't pick up the story straight out of a Lauren Rose press release. In any case, you can follow the developments on Lauren Rose's myspace page or official website. "I found out that the lyrics for the song were written 100 years ago so thought I would record an up to date version with English words as a Hanukkah present for my Grandfather." Ah, he must be schepping some serious nachas. The Autumn 2007 issue of Contact, the journal of the Steinhardt Foundation for Jewish Life just came out, and the topic is "Supplementary Jewish Education: What Can Be Done?" "... for the majority of American Jews, afternoon schools are and will continue to be the preferred venue of Jewish education. Instead of declaring the demise of Hebrew schools, the community should recommit itself to making afternoon schools work ... afternoon schools can take the initiative in creating innovative, dynamic and rewarding Jewish educational experiences ... that can help form the cornerstone of a revivified Jewish life." Steinhardt's own contribution advocates for moving supplementary school out of synagogues and away from a curriculum oriented toward bar/bat mitzvah, in favor of home-based learning in small groups. The issue features several profiles of schools by their directors, including the Kesher after-school Hebrew programs in Cambridge and Newton, Tribeca Hebrew in New York City, and Prozdor High School in Boston. There are also more topical pieces on the role of community and vision in making Bar/Bat Mitzvah and family education meaningful. "...It seems self-evident that having more qualified and better compensated teachers working longer hours with more responsibilities outside the classroom will improve a religious school program. The real value of such a shift, however, is the opportunity it provides to align the school’s curriculum, prayer experiences, and social justice activities with the vision and values of the synagogue as a whole. The integration of the religious school faculty into the daily life of the synagogue and the lives of its families provides new potential for building communities of learning and engaged Jewish living. True institutional transformation will come not only from improved pedagogy, but also from the creation of meaningful communal experiences outside the classroom." " ...in Authentic Jewish Education we will recognize and honor those who have wrestled with Judaism before us. We will also metaphorically kill Judaism every day by taking it apart, turning it upside down and pulling it inside out — constantly creating the new while remembering the past." Of course, no issue could cover everything - for me, the conspicuous absence is anything relating to technology - but this issue certainly provides one of the most accessible overviews of new trends in supplementary education currently available. Enjoy! "The goodie two shoes, jocks, athletes, or other "good" kids are now going to Facebook. These kids tend to come from families who emphasize education and going to college. They are part of what we'd call hegemonic society. They are primarily white, but not exclusively. They are in honors classes, looking forward to the prom, and live in a world dictated by after school activities. "MySpace is still home for Latino/Hispanic teens, immigrant teens, 'burnouts,' 'alternative kids,' 'art fags,' punks, emos, goths, gangstas, queer kids, and other kids who didn't play into the dominant high school popularity paradigm. These are kids whose parents didn't go to college, who are expected to get a job when they finish high school. Teens who are really into music or in a band are on MySpace. MySpace has most of the kids who are socially ostracized at school because they are geeks, freaks, or queers." "What hegemonic teens call gaudy can also be labeled as 'glitzy' or 'bling' or 'fly' (or what my generation would call 'phat') by subaltern teens. Terms like 'bling' come out of hip-hop culture where showy, sparkly, brash visual displays are acceptable and valued. The look and feel of MySpace resonates far better with subaltern communities than it does with the upwardly mobile hegemonic teens. This is even clear in the blogosphere where people talk about how gauche MySpace is while commending Facebook on its aesthetics. "I'm sure that a visual analyst would be able to explain how classed aesthetics are, but aesthetics are more than simply the 'eye of the beholder' - they are culturally narrated and replicated. That 'clean' or 'modern' look of Facebook is akin to West Elm or Pottery Barn or any poshy Scandinavian design house (that I admit I'm drawn to) while the more flashy look of MySpace resembles the Las Vegas imagery that attracts millions every year. I suspect that lifestyles have aesthetic values and that these are being reproduced on MySpace and Facebook." The full text of the essay is well worth the read and there is on-line discussion of the paper at her blog, apophenia -- which also provides an interesting and insightful look at how the media coverage (and in particular, web reporting) on this paper - only posted on-line on June 24th - has quickly spun out of control. "...let’s try a hypothesis: as MySpace fills up with 'late adopters' (the older crowd, who may have learned about myspace from other media vectors; 'desperate singles'; anyone whose fingers are some distance from the pulse), and as house-trashing horror-stories circulate, younger, educated, linked in social networkers are gravitating towards the places where 'people like us' gather. As the teens head for Xanga or linger on MySpace, a well-heeled college crowd (and grads or even acas like me) head for the 'nice neighbourhood' that is Facebook, in a way that constitutes a kind of 'digital white flight' (which may or may not have much to do with race) from MySpace, now the mass market SNS. "The aesthetics of Facebook help here. No gaudy personalisation (none of the “teenage bedroom walls” of many MySpace profiles), no noisy pop-ups or tracks, no intrusive ads. Facebook’s blues and whites and clean backgrounds are reminiscent of an OSX application, or even the Wordpress edit window I am now using. It’s IKEA minimalism - not avant-garde, just neat and functional..."
In a related story about teens and online social networking, CNet News reported yesterday on a Pew study that found that one third of all teens are victims of "cyberbullying:"
"The most common form of bullying reported by teens online involves another person publicizing a private e-mail, instant message or text message, according to a study released Wednesday from the Pew Internet & American Life Project. Fifteen percent of teens surveyed said that they had experienced the embarrassment of having a private communication posted publicly online or forwarded to a third party. "Pew also found that girls are more likely to be bullied online than boys. Thirty-eight percent of girls reported that they had been harassed online vs. 26 percent of boys. The number of incidents rose, however, among older girls and teens who regularly use social networks like Facebook or MySpace.com. Nearly 40 percent of teens on social networks say that they've been bullied." NFTY (the youth movement of US Reform Judaism) has been promoting ethical on-line blogging through the OurSpace initiative. Further information about cyberbullying (and resources for dealing with it) can be found at cyberbullying (from which the above artwork was taken), www.cyberbullying.us, and probably dozens of other websites about which I am unaware (although if you know of one, please post a comment). Also, Wiredkids has an online quiz to help you determine if you have been the victim of cyberbullying. “If indeed it is the mark of our species that we create our own environments in very considerable measure, then surely education is one of the most crucial aspects of that creation. But I think the lesson of the curriculum reform movement is that you cannot accomplish the deeper ends of education by altering only the content and spirit of the courses you teach. Schools as now constituted are not so much the solution to the problem of education as they are part of the problem. For your Israeli music curriculum: New Lyrics to Hatikvah? "As Israel prepares to celebrate its 60th birthday next year, it’s time to update its national anthem, 'Hatikvah' ('The Hope'). Only a single phrase needs to be changed: 'nefesh Yehudi,' which means a Jewish soul, should be replaced with 'nefesh Israeli,' an Israeli soul. Why tamper with a beautiful, stirring hymn? To solve what we might call the 'Hatikvah' contradiction. "Prime Minister Ehud Olmert recently appointed Raleb Majadele as Israel’s first Muslim Arab cabinet minister, in charge of science, culture and sports. But the disconnect between the Jewish state and its Arab minority endures. Mr. Majadele caused outrage among the political right in March when he told the Israeli newspaper Yedioth Ahronoth that he stands up for 'Hatikvah,' but will not sing it [see this March 17 article from Ynet]. Of course, as Mr. LeBor rightly observes further on the article, this is hardly the only problematic lyric in Hatikvah. Jews from North Africa, Yemen, India, and other non-Ashkenazim might not find much that resonates in the image of a heart that looks "to the east." Non-Jewish Israelis certainly would dispute that a Jewish state in the Holy Land has been their "2000-year hope." Actually, Hatikvah only "officially" became the national anthem in 2004 (although I that tidbit from Wikipedia, not exactly the most reliable source). You may also know that back in 1948, religious zionists preferred "Shir Ha-Ma'alot" (Psalm 126) for the anthem. Rav Kook was also critical of this text, and composed his own text ("Ha'Emunah," "the faith"). Back in April, the publisher of Ha'aretz, Amos Schocken, wrote in an editorial that "if by its 60th Independence Day Israel were to adopt a new national anthem, it will have taken an important symbolic step for the future of relations between Jews and Arabs in Israel." "...a serious look at national anthems around the world . . . finds the large majority to be problematic. It is enough to cite as examples two strictly democratic countries - Britain and France. "For better or for worse, a national anthem symbolizes the dominant historical trend - which sometimes (as in France) was born of blood and fire. I understand the difficulty of Israeli Arabs, just like that of Jews or Muslims in Britain, or royalists or Muslims in France - but the latter are not suggesting their national anthems be changed. Citizens may decline to sing the anthem, but they should be expected to respect the symbols of the majority . . . In Israel, the Arab proposal to change 'Hatikva' stems not from the difficulty of singing the words of the anthem, but rather from the desire to question the State of Israel as the national state of the Jews..."
I hope it is not too much to assume that most Jewish schools around the world teach their students the Israeli national anthem. May I suggest that teaching the controversy surrounding the text might be a meaningful and interesting way to raise key issues about the nature of the State of Israel? Young Judea's "Olami" Year Course track selling out! "The four communities of Jews that Olami Two will encounter in their worldwide travels represent four major groups of people that are currently not fully accepted as Jews. The Marranos [of Portugal] were Jewish their forced conversion and secret practice of Judaism led to their gradual assimilation. The Lemba [in South Africa] were also Jews but left Israel and normative Judaism so long ago that they forgot much of the tradition. The B’nai Menashe [India] did not descend from the tribes of Judah and Benjamin as did the mainstream Jewish community of today. However, the “lost” tribes of Israel were never truly lost but rather spread throughout the world slowly loosing contact with the remainder of the Jewish people and “normative” Judaism. Finally, the Abayudaya [Uganda, of course] represent third-world communities interested in Judaism as the moral-ethical paradigm by which they wish to lead their lives." Spaces are also still available for the Year Course Athletic program, but another new track, Shevet, "for students who want to explore their Jewish beliefs in an open Orthodox framework" is already sold out. I'd like to believe this will be a regular feature for New Jewish Education, but let's be honest: Once I start working full-time again in July, the frequency with which ANYTHING will be updated on this blog is an open question. So let me start this entry but putting out, once again, an open call to readers to join me on the writing staff. In any case, let me tell you a little about one of my favorite Israeli organizations. The Heschel Center for Environmental Learning and Leadership promotes a vision of a sustainable society in Israel through leadership training, educational initiatives, and dissemination of information and resources. The institution was founded in the 1990s and has undergone several key transformations during its lifespan. Impacted by developments in the environmental movement internationally, the growth of other environmental organizations in Israel, changes in its funding sources, and increasing clarity about its vision, the Heschel Center has shifted its focus from the development of curricular materials primarily for use with tourists to training and supporting “effective environmentalists” working in education, government, and industry in Israel. The vision of the Heschel Center is based largely upon a critique of two mainstream paradigms of environmentalism in Israel. In the first, the Zionist ideology of a “return to the land” led to a model of appreciation of nature. However, this model largely benefits the upper and middle classes who can demand the preservation of natural spaces for primarily recreational purposes. A second paradigm examines the impact of human activity upon the environment, focusing largely on issues of public health (such as pollution) and prosperity (such as conservation of resources). The utilitarian approach of this model tends to benefit those with the political clout to demand governmental regulations protecting their interests. The Heschel Center attempts to chart a “third model” for Israeli environmentalism, in which the question of how humans interact with the natural world reflects a values-driven vision of what it means to be human. This approach of “spiritual sustainability” demands that issues of economic development, social justice, and quality of life be an intrinsic part of the environmental agenda. Interestingly, in expounding this vision the staff of the Heschel Center discovered that the use of “Jewish” language and metaphors, which had infused their earlier work, was not well received by their Israeli audience. Secular Israelis ("chilonim") didn’t want to hear a “Jewish” message, and religiously observant didn’t want to hear it from them. An Israeli awareness of the need for a values-driven environmental approach integrating economic development with spirituality can arise from the experience of parenting. Parents can become disenfranchised with the mainstream consumer culture as they come to the realization that it can conflict with their attempts to raise conscientious, healthy children (for example, in massive amount of advertising promoting junk food). Israelis may also develop an environmental consciousness while visiting other countries in which recycling, bicycling, and sustainable use are more commonplace than in Israel. The approach of the Heschel Center attempts to pay particular attention to those who are normally disenfranchised by the rhetoric of environmental activism – which tends to mean Israeli and Palestinian Arabs and the urban poor. Inequality in access to and distribution of resources and the negative effects of environmental degradation tend to hit these groups the hardest. Further, the location of national parks and the desire for the preservation of natural spaces can come in conflict with the need for increased living space. The “third model” of the Heschel Center insists that issues of economic development be based upon both a social and an environmental accountability. For more information: Eilon Schwartz, “Changing Paradigms in Israeli Environmental Education,” which used to be available on the Heschel Center website but seems to currently be unavailable as they update the site. 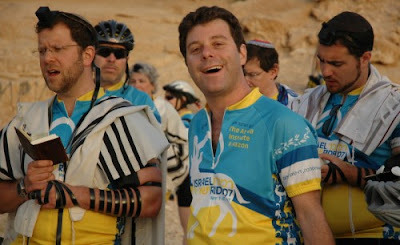 It has been just over a month since I completed the Hazon/Arava Institute Bike Ride from Jerusalem to Eilat. I wanted to share with you a few impressions that have stayed with me and a few reflections. First, thanks to the generous support of our donors, Team Liz raised $8,224, impressively exceeding our goal of $7500. Truthfully, we are even more proud of the fact that this amount represents 99 separate donations, from individuals and families, friends and colleagues, Jews and non-Jews, from high school students to grandparents. This diversity among our supporters mirrored the diversity of the ride itself; in particular, I was astonished and delighted by the number of parents riding with children – and not only teenagers with their adult dads, but also adults who came along with their mom or dad (or both!). 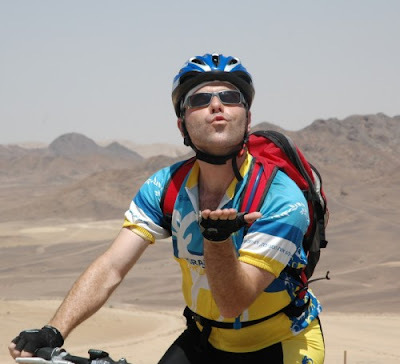 The ride was, as expected, the greatest physical challenge of my life: 350 miles over the course of five days of riding, from Jerusalem to Eilat. It is indeed as beautiful as it sounds. The ascents ranged from difficult to nearly impossible, but I am proud to say that somehow I managed. One moment stands out in my memory: At the base of the Makhtesh Gadol (the “Big Crater” - which I learned on the ride is not technically a “crater,” as it is usually translated, but the image should still work for you), at the end of our 2nd day of riding – a day that consisted almost exclusively of riding uphill (we started at the Dead Sea) – my friend and future colleague Rabbi Leon Morris and I looked up to the heights, at the extreme limits of our energy, and did what any good rabbi (him) and Jewish educator (me) would do: Started singing psalms: “Esa einai el heharim, me-ayin yavo ezri?” “I lift my eyes to the mountains – where shall my help come from? My help shall come from God, who created heaven and earth, he will not let your legs fail!” We couldn’t remember exactly which psalm this was, but in any case – we both made it up to the top. Well, I walked most of the way – but I made it nonetheless. Here is a photo of Leon and me at morning services at the beginning of the fourth day of riding. The downhills made all the climbing worthwhile and I can say without hesitation that over the five days of riding I experienced the most exhilarating bicycling of my life, screaming down the hills of the Negev and finally down through the mountains of Eilat. Incredible! You can actually view a video of this final downhill, shot by rider David Eisenberg, – it doesn’t get interesting until several minutes in, so you might want to skip forward. And, kudos to David for calling out while passing riders! There’s other videos, photos, and so on, for those interested, at the Hazon website. On Friday night, I led the “alternative” worship service for 60 or 70 people, on guitar, accompanied by three drummers. The group included kids and adults, people who normally prayed at Reform congregations and Orthodox congregations and everything else you could imagine, and a smattering of people who’d never been to services before, some because they weren’t Jewish. We sang and prayed for peace and for unity and for strength, and I think we all walked away feeling hopeful. Nevertheless, the most inspirational part of the ride was not the scenery, nor even the participants, but hearing from the primary beneficiaries of our fundraising at the Arava Institute at a panel on Shabbat afternoon. These 20somethings who come together from Israel, the Palestinian Territories, and Jordan to study environmental science shared stories of skeptical families and unsupportive friends, and detailed with great honesty the prejudices they had to overcome in order to share rooms, meals, and classes with students from “the other side.” That they succeed year after year in building real friendships and working towards a healthier ecology in the Middle East is a tremendous achievement. And so, Liz and I express our deep and heartfelt thanks to all of you who sponsored us for the ride. And don’t worry about whether you’ll be hearing from us, you know we’ll be hitting you up again soon! In my opinion, family education is not simply about bringing the parents in to learn side-by-side with their children: It is about rethinking the relationship between the institution and the home. For our learners, the home – not the school, synagogue, or summer camp – is the principal arena for the construction of personal meaning. In The Jew Within, Cohen and Eisen wrote that the immediate family exerts the greatest influence on Jewish observance, and parents are the primary agents of their children’s Jewish development. By the choices they make and the kinds of rituals that they incorporate into their homes, they model for their children what is meaningful and significant in Judaism. Yet, this influence flows in both directions: Parents and children mutually reinforce each other’s Jewish observances and beliefs. In Linking the Silos: How to Accelerate the Momentum in Jewish Education Today, Historian Jack Wertheimer (the Joseph and Martha Mendelson Professor of American Jewish History at JTS) observed that parents can be “spurred on to further their own Jewish education and upgrade their own Jewish knowledge” and to introduce Jewish rituals into their lives as a result of their child’s Jewish involvement. For this reason, Jo Kay, Director of the New York School of Education of Hebrew Union College, suggests that we should look at the individual and the family as an inseparable unit: “Looking at the learner through the lens of the family impacts our perception of who we are teaching. The learner is no longer an individual without a context, but rather a member of a family and the family is ultimately the “student” we are trying to reach” (in her article “Family Education” in the Ultimate Jewish Teachers Handbook). Our education programs, therefore, must be designed to have clear tie-ins to home observance and family life, providing resources that enable our participants to engage in the content they are learning. For example, giving them the opportunity to explore how they might make their own Passover seders more meaningful or relevant (or hold one in the first place), provides them with the chance to directly impact on their family’s practice. By the same token, we must provide volunteer opportunities for parents not simply to hand out Chanukah candles and serve latkes, but to play a critical role in setting the agenda for our family education programs. For example, parents ought to be represented in decisions about whether a Religious School’s Hebrew curriculum will place greater emphasis on learning to speak contemporary Israeli Hebrew or on acquiring the skills to participate in a prayer service. In this way, parents will be empowered to take responsibility for the Jewish upbringing of their own children, students will be empowered to take part in shaping the Jewish life of their families, and the educational program will be a partner in the process rather than the provider of Jewish identity. "Mandel Jerusalem Fellows is a professional development program. Nevertheless, it has much in common with a Sabbatical, and I’d like to speak to that comparison. One doesn’t need to be a great Hebrew scholar – and I’m not – to notice that the word 'Sabbatical' is related to the word 'Sabbath' ('Shabbaton' and 'Shabbat'). Shabbat is, of course, a day of rest, and certainly one of the main characteristics of a Shabbaton is the opportunity to be rejuvenated. "I’d like to suggest three ways in which this experience as Mandel Jerusalem Fellows has been comparable to Shabbat: As a remembrance of the work of creation (zecher l’ma’asei b’reishit), as a remembrance of the liberation from Egypt (zecher letziat mitzrayim), and as a taste of the world yet to come (m’ain olam haba)..."
With the permission of the Mandel Leadership Institute, here is the Hebrew text of the speech I gave (and here is the English translation). Three minutes long. Mandel Jerusalem Fellows will be taking a one-year hiatus from 2007-08 to retool the program. If you are interested in learning more about the program and considering applying for the 2008 cohort, contact Daniel Barnett at the Mandel Leadership Institute. Reclaiming the phrase "Tikkun Olam"
"...As the meaning of the term tikkun olam has expanded to apply to virtually any action or belief that the user thinks is beneficial to the world, some Jewish social justice activists and thinkers have moved away from using the term at all. "...Rather than throw out the term tikkun olam altogether, or putting it on a twenty-year hiatus as others have suggested, I propose weaving together the four primary definitions of tikkun olam present in Jewish history: the anticipation of the divine kingdom in the Aleynu prayer; the midrashic call to preserve the physical world; the rabbinic desire to sustain the social order; and the Lurianic belief in our power to restore divine perfection. This definition will occupy a space between a limited definition of 'tikkun olam' as relating only to a specific theology or legal process and an expansive definition that equates 'tikkun olam' with any type of social action or social justice work." Read her article, "The History of Tikkun Olam," for her complete program for rejuvinating the use of this overused phrase. The image to the right is from Temple Judea of Tarzana, California. Beit Rabban is a day school that weaves together exemplary and creative practices of academic and Jewish education. The school's diverse learning community brings together families from across the Jewish denominational spectrum. The school is committed to intellectual openness regarding the diversity of belief and practice found within Judaism. In an environment that is progressive in orientation, yet serious about engaging children in the Jewish textual tradition, students learn in an open spirit and in a way that fosters a love of learning. Find out more about our unique vision-led school at: www.beitrabban.org. Conceptualize and execute brochures and communications pieces related to development projects and events. The successful candidate will also have excellent interpersonal and managerial skills, as well as the ability to work well independently; capacity to assume leadership roles and take initiative in start-up enterprises; Bachelor’s degree required, Master’s is preferred. To apply: Please send a resume and cover letter with salary requirements to: Lisa Sacks, Executive Director, Beit Rabban Day School, 8 W. 70th Street, New York, NY 10023; lisa@beitrabban.org. Candidates meeting some but not all of the qualifications are also encouraged to apply. Recently, I posted a job description for the position of Life-Long Learning Associate at Congregation Emanu-El of the City of New York. If you have the word "beach," "kitten," or "toy" in your email address - you might want to consider opening a new gmail account for business correspondence. Don't apply for every position that is being advertised at the congregation with exactly the same cover letter. If I ask you about what you know about the congregation, don't cut and paste from it's website in your response. Probably not best to address me as "Dear Sir/Madam" or "Hello ," - I mean, my name's on the friggin' job description. If your email is three sentences long, every sentence shouldn't end in an exclamation point! Really! Honest!" We are still collecting resumes for this position. If you need me to tell you to look under "job descriptions" (to the right), this is not the job for you. Today on Boing Boing: Cory Doctorow's review of The Case Against Homework by Sara Bennett and Nancy Kalish. 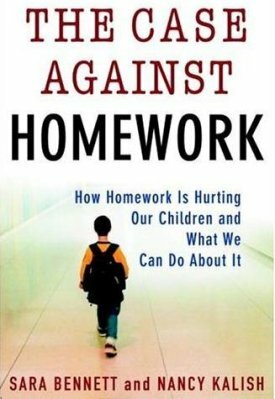 He calls it "a fine and frightening explosion of the homework myth: that giving kids homework improves their educational outcome..."
"...The stories go on and on, and just when you're ready to throw in the towel and send your kids into the woods to be raised by wolves, the authors supply several long chapters of strategies and sample dialogs for convincing your kids' teachers to ease off on homework, for changing the homework policies in your school district and for rallying other parents to their cause. "They're not whistling Dixie, either: the authors have gone through this themselves, challenging and changing the homework policies in their kids' school districts. The last section of the book is an activist guide and a postmortem of the strategies they employed. One of the authors, Sara Bennett, is a celebrated civil rights lawyer; the other, Nancy Kalish, is a famous editor and writer of material for parents, especially mothers. 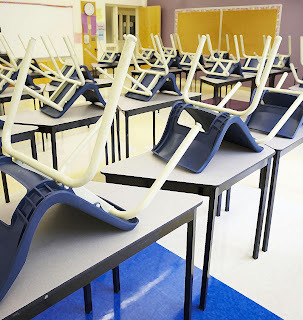 One imagines that their school board didn't know what hit them" [full text of review]. More information can be found on StopHomework.com, co-author Sara Bennett's blog. She recommends taking action by signing the petition calling for the dismantling of the "No Child Left Behind" Act at The Educator Roundtable. "My name is Mark Guterman. I am a Clinical Psychology PhD student working with Orit Avishai of the University of California at Berkeley. We are doing an internet survey of Jews of all denominations. The survey is for both singles and married couples. The survey is online at: http://www.JewishSurveys.org. "I was wondering if you could post a link on your site for our research? I ask you, because your blog draws readers of a type that we may not be able to reach through any other means. Please help us out. We are not making any money on this; we are simply trying to learn more about our community. Your cooperation in this would be greatly appreciated, and you would be doing a service to the Jewish community at large. "More info on the survey: The study looks at issues regarding Negiah (premarital touching) and Niddah / Taharat HaMishpachah (family purity). Niddah and Negiah play an important role in the every day lives of Jewish men and women. The collection of handbooks on this topic grows from year to year, yet we know very little about how Jewish couples, men, and women experience and observe Niddah and Negiah. Anecdotal evidence and our previous research have led us to conclude that many couples and individuals are experiencing difficulties with this aspect of the Halachah. "We are inviting the Jewish community at large to participate in this important survey to shed light on these difficulties and explore some ways to address them. Given the intimate nature of these matters, this brief, online survey is totally anonymous, and no identifiable information is collected." Follow this link to take the survey. You must be 18 years or older to participate, and all information is provided anonymously. I took the survey (it takes about 10 minutes): You may find that your responses do not easily correspond to the choices provided in the drop-down menus. However, I was amused to see that kashrut and shabbat observance is rated on a scale from "flexible" to "strict." The SAJ, a Reconstructionist and Conservative synagogue on the Upper West Side, is seeking a "Shabbat leader" to lead family services and to teach in our Hebrew School. Our family services are warm, inviting, and very musical. We use a mix of traditional prayer, storytelling, and interactive educational activities to create a service that is welcoming to all. At the Hebrew School we use an experiential learning approach to introduce children of all ages to the joys of Jewish life. We are looking for an educator who will bring educational engagement and a high level of ruach-oriented fun to our Hebrew school. Lead two Friday night family services a month, one geared towards younger children (ages 4-8) and their parents, and one geared towards tweens and their parents. Lead one monthly Saturday morning service geared towards younger children. Teach music in the Hebrew School twice a week, ideally on Sunday and Tuesday. There will be a particular focus on teaching songs from the family Shabbat services, to create a bridge between the Hebrew School and the family services. Help plan and attend two havdalah events during the winter. Work closely with and be supervised by the education director, meeting with the education director on a weekly basis. Attend bimonthly meetings of a lay "Shabbat committee." The schedule for the various services should allow for each service to occur on a different week of the month in order to accommodate all family groups. The ideal candidate for this position will have at least four years experience in song-leading, have the ability to song-lead while playing either guitar or keyboard, and will also have experience creating and leading family education programs. He or she will be upbeat and outgoing, and will enjoy and relate well to children. Compensation ranges from $15,000 up, commensurate with experience. Please email resumes to education.saj@verizon.net or fax (212) 724-0293. Now THIS is how a Wiki should be used! You may recall that about two months ago, in an entry about JESNA's Lippman Kanfer Institute Wiki, I lamented that "rather than being an interactive or collaborative experience, [this] Wiki is still currently functioning much like any other website." Well, I want to share with you a wiki that I think makes brilliant use of the potential of the technology: flatplanet, the Wikispaces "space of the month" for April 2007. "...an online collaborative project between students in two religious education classes in Catholic High Schools in Canada and the United Kingdom. The students were given the task of examining environmental issues affecting both Canada and the U.K. and to think about the ethical/moral responsibility of Roman Catholics with regard to the environment..."
Along with the technology, the site also demonstrates a number of pedagogical techniques that are simply good practice, including a clear rubric for grading the projects. How far ahead of the crowd is this wiki? Well, for a quick comparison, pay a visit to the (relatively) new blog, "Web 2.0 in the classroom" and try clicking on any of the links (which have impressive names like "21st Century Education"). Despite their great intentions, not a single one has been updated since April (and most consist of a single entry). Presumably, these were created as part of some sort of technology-in-the-classroom training (on March 12th). But I'm just guessing. "The thing that we like about Wikispaces is the ease of use. It was fairly simple to figure out how to use the Wikispaces editing tools. Within a few minutes we had set up our Flat Planet Wikispaces site and were laying the groundwork for our students to begin their collaboration. I especially like the ability to easily embed things such as video, audio, and other types of media into the wiki." Want to learn more about Web 2.0 and other new technologies, and their educational applications? Browse through the articles and other resources at the Centre for Learning and Performance Technologies, join the community at Classroom 2.0, spend some time at Suzie Vesper's Educational Software and Web 2.0 Wiki, and of course don't miss Caren Levine's jlearn 2.0. Enjoy! Are you a Jewish educator? Want to learn the art of Storahtelling and transform your classroom into a stage for The Greatest Story Ever Told? Join us for StorahLab Summer Institute 2007! StorahLab is an exclusive opportunity for supplementary school educators to learn from dynamic educators and Storahtellers. Participants delve deep into Storahtelling's innovative, educational methodology in an intimate setting and return to their communities with a fresh set of tools to enable students to find renewed relevance in our sacred texts. Learn the ins and outs of Storahtelling's Cool Tool for School, a comprehensive curriculum utilizing the Storahtelling methodology of dramatic translation and interpretation of Torah. StorahLab will take place as an intensive learning track each morning of the 2007 CAJE conference, Sun. August 5th - Thurs. August 9th in St. Louis, MO. For more information, contact the CAJE offices at cajeny@caje.org or Sarah Sololic at sarah@storahtelling.org or 212-695-0807. Central Synagogue, a Reform congregation of over 2000 households in mid-town Manhattan seeks to hire full-time educators for the fourth year of an innovative educational initiative for academic year 2007-8. Our full-time teachers work as a team to plan and implement formal and informal learning experiences for our 3rd-9th graders and their families, including Shabbat and holiday celebrations, enrichment activities, and social action projects. Applicants for this position should have previous experience in classroom teaching and curriculum development, excellent organizational and communication skills, and a strong work ethic. We seek reflective practitioners, committed to professional growth, who are able to work effectively as part of a team and to share a love for learning and of Judaism with all members of our synagogue community. This is a challenging position with tremendous opportunity for achievement. Our faculty creates cutting-edge learning experiences, incorporating the latest pedagogical theories, while receiving mentoring from experts in the field. In order to create a diverse educational team we are seeking candidates with special skills in one or more of the following areas: music, song leading, technology (web/video), dance, theater, visual arts, and Judaic studies. The position requires evening and weekend work throughout the academic year. Hebrew proficiency and familiarity with Reform Judaism are essential. An advanced degree in Education and/or Judaic studies is preferred. It's been a big week for awards announcements, apparently. Despite concerns raised about right-wing bias and hacking attacks on its website, the winners in all categories for the JIB (Jewish and Israeli Blog) Awards have been posted. The big winner is Yaakov Kirschen's Dry Bones blog, in which he presents a daily cartoon accompanied by his commentary on it - a methodology for which blogs are particularly suited. Kudos also to our friends at JSpot, who picked up the award for best group blog, The Jew and the Carrot, who snagged the best new blog award (with an incredible 592 votes, nearly three times as many votes as any other blog received in ANY category), and Mah Rabu, who picked up a bronze for his Hilchot Pluralism series. Other big winners include treppenwitz's musings on daily life in Israel (and whatever else comes to mind), Gil Student's ortho-haredi halachic commentary on Hirhurim, and the spiritual reflections of Lazer Brody at Lazer Beams - all of which are award winners from previous years. The format will consist of four synchronous webconferences on Mondays (at 5:00 PM Israel time), starting July 2. To register, or for more information, contact Sandrine Balloffet. JESNA is a continental nonprofit organization that is focused on improving Jewish education through a cycle of learnings, dissemination, and application. JESNA (www.jesna.org) is seeking a highly-motivated, self-directed individual for a part-time (10 hour per week) position as Project Assistant for its Lippman Kanfer Institute. The Lippman Kanfer Institute operates as a think tank within JESNA, focusing on the identification and diffusion of innovative ideas and practices that will keep Jewish education relevant and effective in the 21st century. The Project Assistant will work closely with the Director of the Institute (who is also JESNA’s Chief Ideas Officer) to manage its initiatives and day-to-day activities. Assist the Director in planning the activities of the Lippman Kanfer Institute, including meetings and events, publications, presentations, and other activities. Ensure that these activities are implemented effectively and in a timely fashion. Manage the Institute’s ongoing communications with key partners and constituents, including members of the JESNA Board and staff, the Lippman Kanfer Family Foundation, individuals working with the Institute on projects, advisers and consultants, Jewish education funders, and other professional and lay leaders in the field of Jewish education. Coordinate meetings, consultations, and other events organized by the Institute. Experience in managing projects and activities in the for-profit or not-for-profit sectors. Skills in using word processing, spreadsheet, presentation (Powerpoint) software; skills in using project management, graphics, and web software a plus. Personally familiar with and knowledgeable about the Jewish community and Jewish education. Ability to communicate clearly and effectively, both orally and in writing, with all levels of management and staff, volunteer leaders, partner organizations, and media. Ability to juggle multiple tasks under deadlines. Demonstrated resourcefulness, optimism, flexibility, and good humor in approach to project assignments and in working with colleagues and constituents. Commitment to JESNA’s values, mission and goals. APPLICATION PROCESS: Email resume and cover letter with position title in the subject line to Jonathan Woocher, Director of the Institute, at jwoocher@jesna.org. More winners, and a blog as well! Yesterday (May 16, 2007) the AVI CHAI Foundation announced the fifteen awardees of their Educational Technology Experimentation Grants (out of around 180 submissions). They comprise "a diverse range of projects with the ultimate goal of learning about and identifying promising educational technology initiatives for Jewish education." Winning initiatives make use of smartboards, websites, podcasts, and video to teach subjects ranging from Hebrew to Talmud to prayer. All the winners are from day schools - no summer camps, supplementary schools, or other programs are represented. Perhaps the most interesting aspect of this project is AVI CHAI's use of a weblog by which to follow each grantee’s progress along the experimentation route. "Rabbi Levingston will be exerimenting with on-line tefilla; electronic siddurim; podcasts and other new media expressions of prayer by and for the middle school students." Best of luck to Judd and to the other winners, and let's stay tuned to see how these projects develop! 4. I hope I live to see the day when, as in the early days of our country, we won't have any public schools. The churches will have taken them over again and Christians will be running them. What a happy day that will be! 5. Universal education is the most corroding and disintegrating poison that liberalism has ever invented for its own destruction. Find the answers, and play the game, via this link. Remember back in December, when BabagaNewz announced its "Capture the Dream" contest? If you've forgotten, participants designed an original logo for a plane carrying passengers making aliyah to Israel. Well, a winner has been announced: Alexis D., a fifth-grader in the religious school of Har Zion Congregation in Scottsdale, Arizona. Alexis' design will be on a Nefesh B'Nefesh plane to Israel and she will accompany her illustration aboard the plane on a free trip to Israel this summer. The designs by the three runners-up are posted at the BabagaNewz website. At some point, when I wasn't looking, the Union for Reform Judaism seems to have redesigned its home page, making it considerably easier to navigate the site (among the features that have been moved to the front is a link to their "Sacred Choices" curriculum for congregations and camps to teach sexual ethics to teens). Does your synagogue engage its adult members, from post-confirmation teens to senior citizens, in active learning experiences? If so, please consider applying for the Union for Reform Judaism Congregation of Learners Awards 2007, honoring congregations of all sizes that provide varied and comprehensive learning opportunities for their members. Winning congregations will be recognized at the San Diego Biennial, receive free URJ Press books, videos and CDs and will be featured in a Best Practices book available to all Reform congregations. NEW THIS YEAR! The Nachshon Awards, recognizing congregations in the process of transformation, on their way to becoming Congregation of Learners. These awards will be given to congregations for one new and innovative program or project that demonstrates a congregational commitment to adult Jewish learning. Application deadline is June 1, 2007. You can download the application form directly from the internet. For more information, contact Brooke Montgomery at bmontgomery@urj.org or 212.650.4110. "...After the shows ended in 1997, a joint Palestinian-Israeli production in the planning stages was shelved when the Palestinians launched the second intifada in 2000. "Instead, a limited series called 'Sesame Stories' was produced in 2004 by independent Israeli, Palestinian and Jordanian production teams. The animations and live-action episodes were dubbed and aired on each other's series. 'The Muppets couldn't speak each other's languages, but they connected over falafel and hummus, and a common dislike of onions,' Knell said. "The new Israeli and Palestinian shows are produced independently, placing an emphasis on educating children about their own societies. Like any "Sesame Street," they also teach basic skills like numbers and letters, good manners and keeping the environment clean. "...will be accompanied by an educational outreach campaign, will feature a new set that now includes a Fix-It shop run by Salim, a new male character in his early 20’s. Beloved Palestinian Muppet characters Haneen, a 5-year-old learning how to count and read, and Kareem, a 7-year-old rooster, who is organized, tidy, timely, and traditional, return to Shara’a Simsim. The new season responds directly to the needs of Palestinian children by focusing on boys’ empowerment and introducing the character of Salim, who will serve as a positive role model for young children." All this is great news for Israelis (and the rest of us) who until now have had to turn to YouTube to hear "Barvazoni" ("Rubber Duckie" sung in Hebrew). “Education is the point at which we decide whether we love the world enough to assume responsibility for it and by the same token save it from that ruin which, except for renewal, except for the coming of the new and young, would be inevitable. Associated Press reports today (May 14, 2007) that staff members of a sixth grade class in Murfreesboro, Tennessee "staged a fictitious gun attack on students during a class trip, telling them it was not a drill as the children cried and hid under tables." "...Principal Catherine Stephens declined to say whether the staff members involved would face disciplinary action, but said the situation 'involved poor judgment.'" [full story at CNN.com]. Melbourne-based band Yidcore has released a bizarre and kinda wonderful cartoon-video for the title track from their new album, "They Tried to Kill Us. They Failed. Let's Eat!" I have to admit I can't entirely understand the lyrics, but then again, I'm pushing 40. In any case, the title of the song says it all. Check out the Yidcore Myspace page for more song samples, including their speed-metal version of "Od Yavo Shalom." Their homepage features more punk-Jewish goodness, including their recipes for chulent and kugel. Thanks to the blog "i tempi e le idee" for turning me on to this. Of course, that blog is in Italian, so I have no idea what is being said there, either. "Hebrew University professor Ehud Netzer and colleagues say they solved one of Israel's great archaeological mysteries by unearthing the remains of Herod's grave, sarcophagus, and mausoleum at the Herodium complex. "Most scholars had assumed Herod, who ruled Judea between 37 and 4 B.C., was buried at the Herodium complex, but his final resting place had remained undiscovered until now. The site lies about 6 miles (15 kilometers) south of modern-day Jerusalem. "King Herod is renowned for his monumental construction projects, including the Jewish Temple in Jerusalem, the Caesarea complex, and the palace atop Masada. Herod constructed Herodium as a massive administrative, residential, memorial, and burial center. "Herod, whose father and grandfather converted to Judaism, was appointed governor of Galilee at the age of 25 and was made "King of the Jews" by the Roman senate in approximately 40 BCE. He remained king for around 34 years. ". . .At Herodium, Herod built one of the largest monarchical complexes in the Roman Empire, which served as a residential palace, a sanctuary, an administrative center and a mausoleum. Herod first built an artificial cone-shaped hill that could be seen from Jerusalem, on which he constructed a fortified palace surrounded by watchtowers that he used solely in wartime. ". . . With the outbreak of the Great Revolt, Herodium was seized by the rebels, but then handed over without resistance to the Romans following the fall of Jerusalem in 70 CE. "Fifty years later, Herodium was also used by the rebels during the Bar Kokhva revolt, but was abandoned thereafter.